Glenbrook Lagoon, in the lower Blue Mountains, is a rare upland wetland within the Hawkesbury-Nepean system, and provides habitat for flora and fauna species that are otherwise unusual in the area. 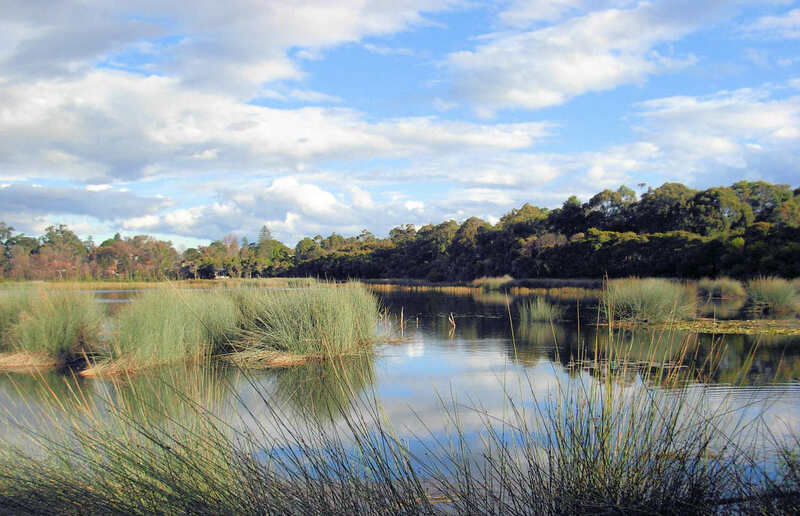 The lagoon was described during the historical crossing of the Blue Mountains by Blaxland, Wentworth and Lawson. In the late 1860’s the lagoon was resumed from the lands of Barnett Levy by the railways, and the storage capacity increased with the construction of a low dam (see road photo below) to provide water during the construction of the railway across the Blue Mountains. During the 1870’s water from the lagoon was used for the mountains (steam) trains. 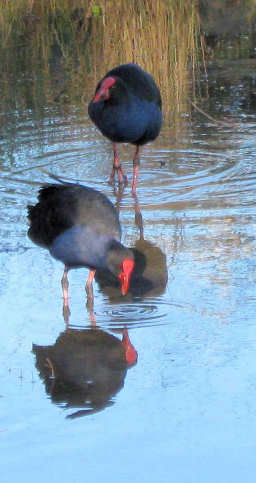 Purple Swamphens (right) live in the marshes around the lagoon. 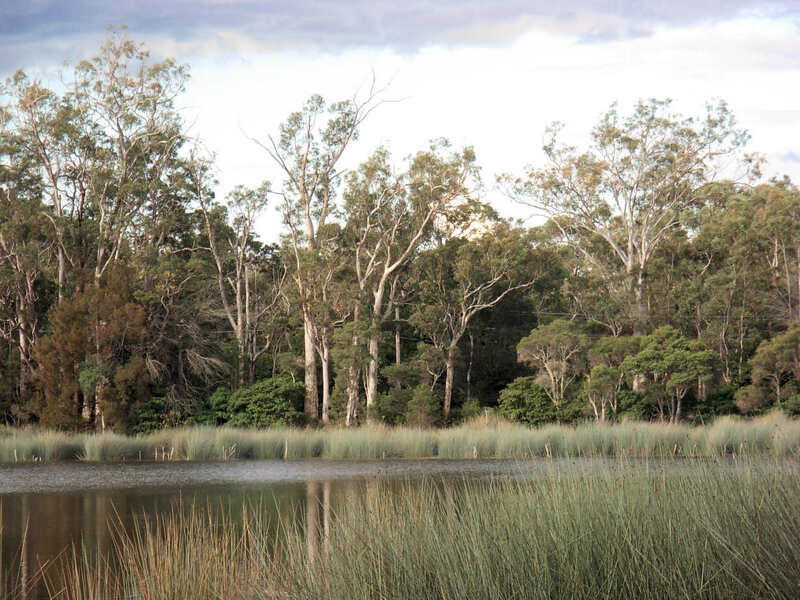 The lagoon is about 25 minutes walk from Glenbrook and Blaxland stations. There is a walking track around the lagoon, with parking off Glenbrook Drive near Olivet Street. 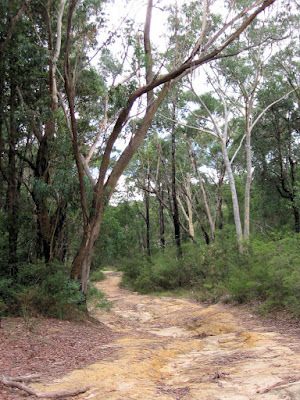 It is a further 2Km walk to Lennox bridge (above right), via Kodala Lane which connects Glenbrook Road to Kedron Steet. The photo above (left) shows the rough trail from the end of High Street to Lennox bridge on Mitchell’s Pass. The bridge built by David Lennox from sandstone quarried nearby, is the oldest stone arch bridge on the mainland, completed in 1833. 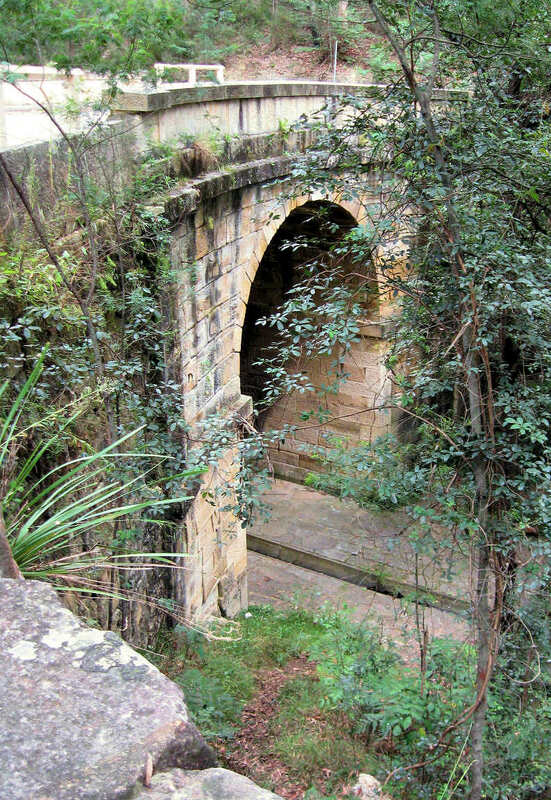 There is a Lennox bridge both in the the Blue Mountains and also in Parramatta, as Joan Elizabeth pointed out in a comment to my Parramatta post. A small shopping centre with restaurants, take away shops and a hotel is located near the lagoon at Kidman Street, off the Great Western highway. Blue Mountains buses (route 690) is the local bus service. I like your shots of the lagoon in particular. 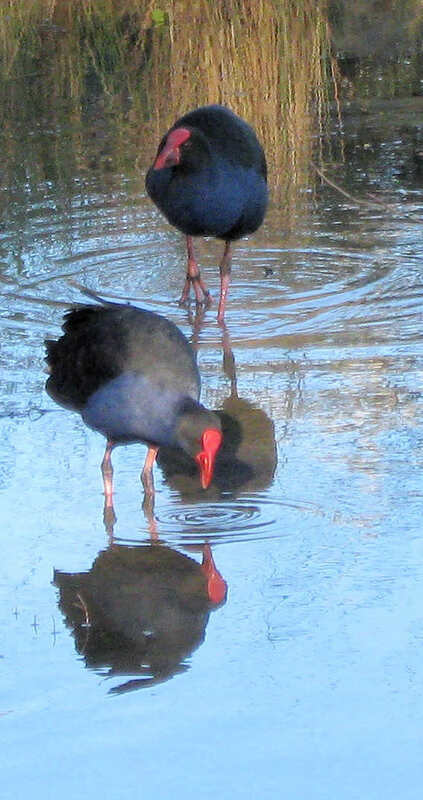 I remember taking photos of the Swamp Hens too on the one photo shoot I have done down there. At the time I also found it interesting to discover this body of water is natural. So many of the 'lakes' in the mountains are man-made. This would be a haven for wildlife and I was pleased to see your photo of the purple swamp hens - I took a shot of some on the edge of a lake near to home and didn't know their name - so thank you. This seems so beautiful! I have been looking to book a tour for the Blue Mountains Sydney .